Jaguar has confirmed it will make an all-new two-seater convertible and coupe sports car, called the F-Type. The announcement was made at the New York Motor Show and new model will arrive in the UK in the summer of next year. It is based on the C-X16 concept revealed at last year’s Frankfurt Motor Show. Sitting below the XK, in the company’s model range, the F-Type will be looking to topple some tough competition. As well as the Porsche 911 and Boxster, which are both new this year, it will also be coming up against the Mercedes-Benz SL and the Lotus Evora. Details of engines are a little sketchy at the moment, though the firm has said that it will get a range of petrol engines, including a new engine range. All of these will deliver ‘stunning sports car performance’ according to the firm. Set to be built at the Castle Bromwich plant in the UK, Jaguar also claims that the car will ‘focus uncompromisingly on delivering driver reward.’ An all-aluminium construction means that it should be lightweight and get somewhere near this promise from Jaguar. The convertible version will also get a fabric roof to help keep weight down. Adrian Hallmark, Global Brand Director, said: “The core appeal of Jaguar's cars is their sporting heart, and that heart will beat stronger than ever before in the F-TYPE. “Its development is a vivid representation of the confidence and ambition of the Jaguar brand, and the desire amongst our engineers and design team to produce a world-leader in a market segment that we have been absent from for too long. 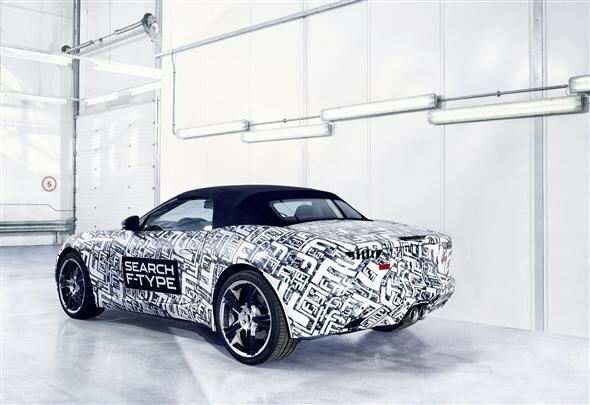 But no longer – the F-TYPE is coming." This new sports car will join the extended model line-up, which now includes the XF Sportbrake revealed at the Geneva Motor Show in March. The F-Type convertible will arrive in the UK in summer 2013 with prices expected to start at £55,000. The Coupe version will follow in 2014.